The coach should play a ball out to one of the two teams. The first player in each line runs out and tries to gain possession and score in either goal. If a goal is scored or the ball goes out of bounds the coach shouts “Get Out of Here" and plays in a new ball straight away for the next players. If one goal is blocked by the defender can we change direction and try to score in the other goal. 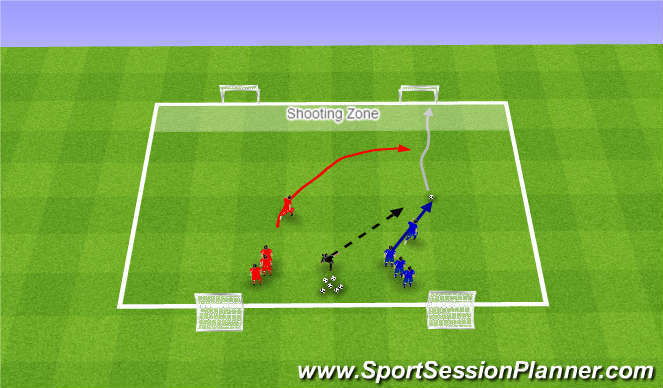 Can the defender make a "banana run" (red line) to get inbetween the attacker and the goal rather than running straight at the attacker.